When you take your dog for a walk, let him sniff. 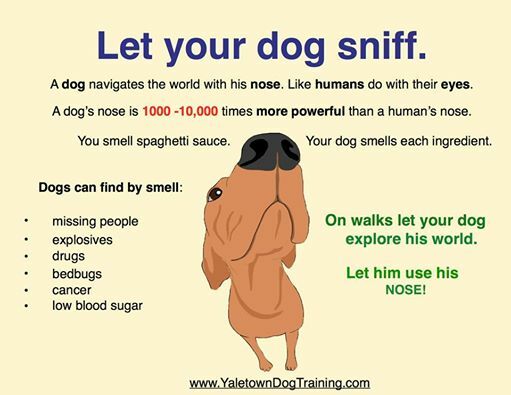 Smell is the most important sense for dogs, as important as sight is to humans. Use this to your advantage when you take your dog for a walk. Let him really discover and explore his world by sniffing. This will not only make his walk much more enjoyable but will also help tire him out. Sniffing is an easy to do mental enrichment exercise for dogs. How to get kicked out of school? Stella loves finding new sniffs, shame they’re not always pleasant ones! True. A lot of people do it.